Dr CADx, through a computer aided diagnostic system that helps doctors diagnose medical images more accurately and at a low cost, will help reduce the human errors that have dire consequences for patients and drive up medical costs. By deploying an artificial intelligence system that will be available at any given time of the day — even in remote areas — we will greatly improve the quality of patient management and save lives, especially in the marginalized areas of the developing world. Dr CADx will revolutionize the healthcare system, benefiting patients, doctors, and hospitals alike. 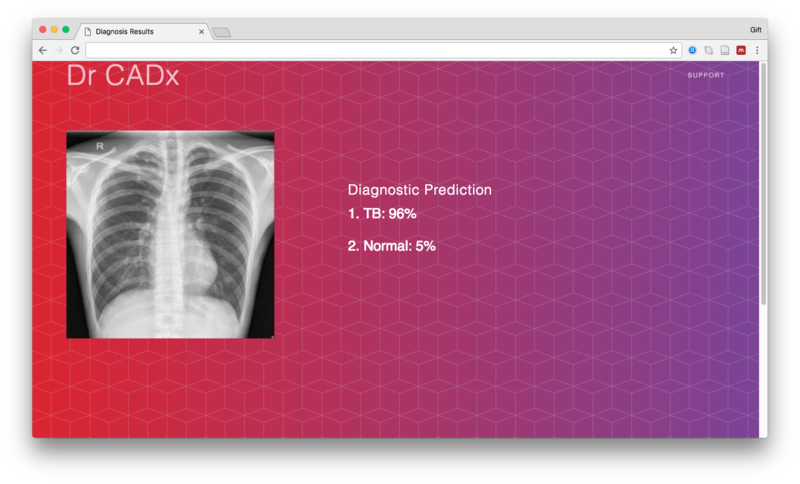 Dr CADx is using state-of-the-art deep learning algorithms to develop an application that can interpret medical images with an accuracy that is comparable or even exceeds that of expert radiologists, but at a much lower cost. Deep learning is a technology that simulates how the human brain works recognizing disease patterns in images. 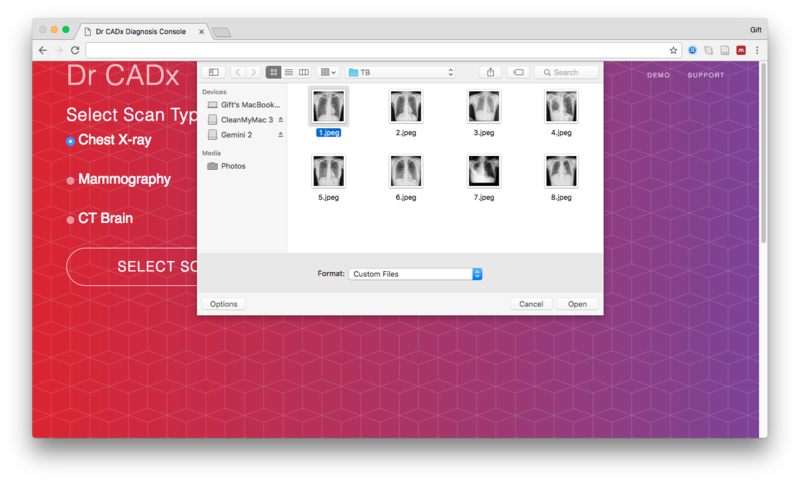 Our prototype currently achieves an accuracy of 82%, which is significantly better than the average for radiologists, in distinguishing chest X-rays of healthy people from those of patients with TB or lung cancer. The prototype is trained and tested on dataset consisting of medical images reviewed by expert radiologists and compiled by the Japanese Society of Radiological Technology in cooperation with the Japanese Radiological Society and by the U.S. National Library of Medicine. We plan to complete development in December 2017, to be followed by clinical trials and then seeking regulatory approval before launching in January 2019.